Attitudes and values: How can we explicitly develop these? 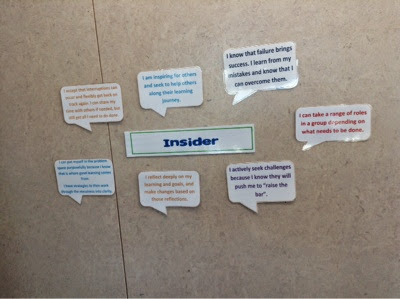 Amesbury School's 'Insider Learning Model' explaining learner habits. "I accept that interruptions can occur and flexibly get back on track again. I can share my time with others if needed, but still get all I need to do done." "I am inspiring for others and seek to help others along their learning journey." "I know that failure brings success. I learn from my mistakes and know that I can overcome them." "I actively seek challenges because I know they will push me to 'raise the bar.'" "I reflect deeply on my learning and goals, and make changes based on those reflections." "I can put myself in the problem space purposefully because I know that is where good learning comes from. I have strategies to then work through the messiness into clarity." Leading me through my thinking in this blog post is this epic album! 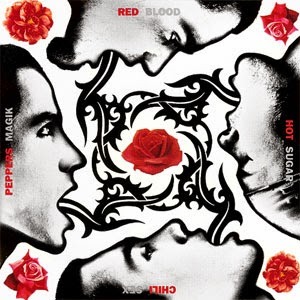 I received a facebook notification the other day saying that The Chili's released this cracker album on that day in 1991! Wow! So how do teachers help to develop self-agency attitudes and values? To me, the above statements (@AmesburySch) are some big kickers for learner agency. They're like, smack-in-the-face-I-am-a-self-agent-learner, or #smackinthefaceIamaselfagentlearner. Some students take to this style of learning like a duck to water. However, others take a lot more coaching to get there. So what makes the difference here with these types of learners? When I first started teaching (coming up like 9 years ago), I had the mentality that I was supposed to know all the answers and ask all the questions. Well, I didn't. Therefore, I had to go through this "fake it 'til you make it" stage. Haha, you're laughing because it happened to you too! 3 years at Massey University College of Education and I was still scared s***less! My point is, is that even in that teacher-directed environment, the good kids were the ones who could sit still on the mat, listen, follow instructions, know what to do when they'd finished etc. I would call them "amazing learners". They would smile and carry on with their learning feeling happy... In our MLE at Russell Street School, it is these same types of learners that are thriving at being self-agent learners. They thrive because they are motivated by the teachers expectations. Show them the bar and they rise to it every time. So is it the pedagogy? Or the type of learner personality? What about the other kids? You know the ones! The unmotivated. The task-avoiders. The distracters. The can't-do-anything-independently kids. They require, extra coaching, extra explaining, extra support, an extra reminder, another extra reminder, an extra push in the right direction. And that's what it's all about isn't it? Going back to my initial question (sorry for rambling... there you go, I'm still doing it) one of the attitudes we chose to explore and explicitly teach is "The Learning Pit". We first were introduced to the learning pit by @StonefieldsSch. I thought it was awesome and I couldn't wait to get into it. We planned a series of different tasks for the children to complete. Each task had a choice; an easy task or a challenging task. The children had to make a choice of what to complete and stick with it before the timer started. Some of the tasks were to write the alphabet down forwards or backwards, write a sentence with your dominant hand or your non-dominant hand, catch a ball standing up or lying on your back etc.